During the hot summer days, Milli Gimnastika Arenası (National Gymnastics Arena) prepares for another national tournament and opens its doors to rhythmic gymnasts. Thus, the representatives of the most elegant gymnastics discipline will test their strength at the 25th Rhythmic Gymnastics Azerbaijan and Baku Championships among age categories on August 10-12, the Azerbaijan Gymnastics Federation told Trend. Individual gymnasts will compete in the age categories of gymnasts born in 2010, 2009, 2008, 2006-2007, 2003-2005, 2002 and older, while teams in group exercises will compete in the 2008-2010 and 2006-2007 age groups. The winners both among individual gymnasts and groups will be determined by the All-Around scores. In the Team Competition calculation, the best results of the groups consisting of gymnasts born in 2008-2010 and 2006-2007, as well as individual gymnasts born in 2008-2010, 2006-2007 and 2003-2005 will be taken into account. 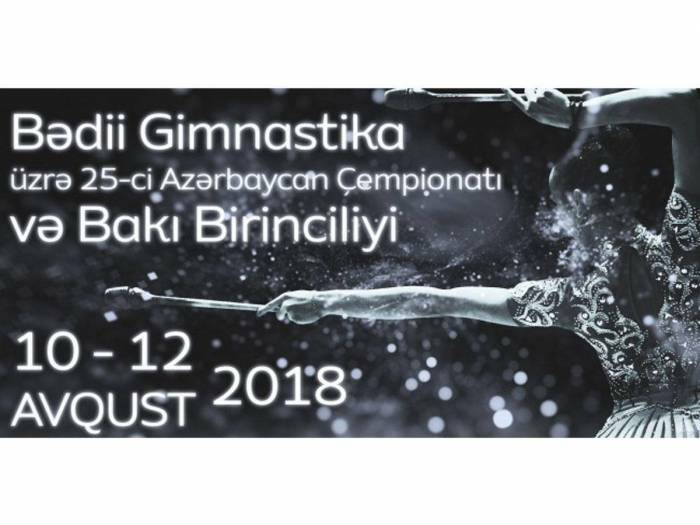 Seventy-three gymnasts representing Baku Gymnastics School, Ojag Sport and AyUlduz clubs, Sport Olympic Center Sarhadchi, Republican Complex Sports School, Zirva Sports Club, including cities of Gusar and Ganja will take part in the events. Tickets can be obtained at the ticket office of the Arena. The price of the ticket is 5 manats.